With the summer months finally giving way to winter, it is difficult to look beyond the freezing temperature, warm cups of coffee and a day indoors. Those of us who are strong enough to brave the outdoors love the winters for all their skiing, snowboarding and other activities. If you’re longing for the winter months to get by, here’s something to look forward to. Bookmundi presents a list of the top beaches in Portugal, Spain and France, to help you plan out your summer holidays as soon as possible. None of these beaches offer a winter escape (unlike those Caribbean wonders that offer picture-perfect settings round the year), but each beach on this list promises a summer of fun and frolic and a beautiful golden brown tan. 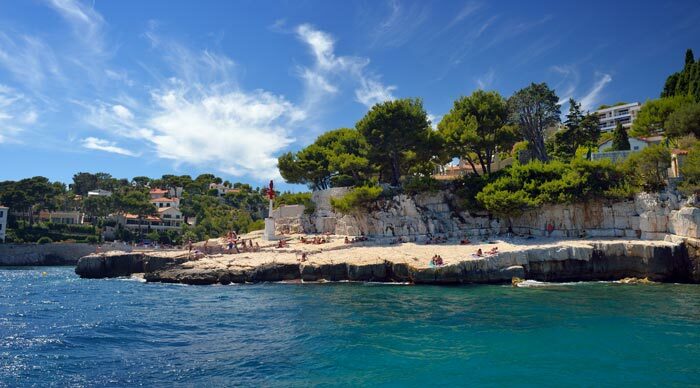 Hyeres is home to some of the most beautiful and well-preserved beaches in the French Riviera. Bright sunshine and clear waters are some of the biggest attractions here, and you can find plenty of secluded, romantic, shaded or family-friendly pockets all over the 40km coastline. There are countless creeks to choose from as well. These creeks present the perfect place to swim, build sand castles or enjoy a nap under the sun. 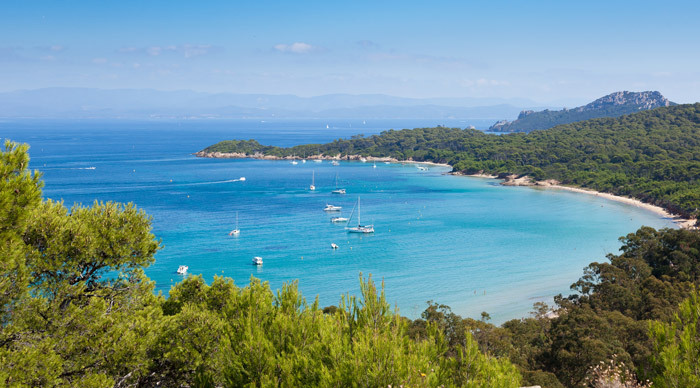 Our Lady Beach is less crowded than other beaches of Porquerolles and it also has a revegetation program which requires everyone to help out taking care of the environment. La Grand Plage is one of the most picture-perfect beaches that you can come across in Europe. 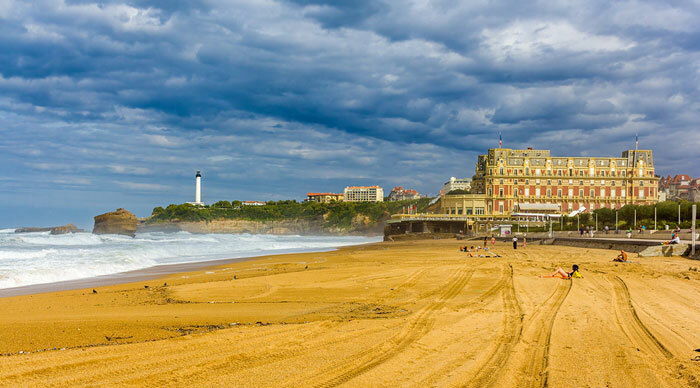 La Grande Plage is the main beach of Biarritz and is surrounded by all kinds of restaurants, shops and cafes. It also has a number of clubs for kids and a palace close by. Calanque d’En Vau is shut off from the rest of the world because of its surrounding limestone walls that rise to heights of 295ft to 492ft. The walls themselves are very popular among cliff climbers, but the main charm of the area is the spectacular beach below. Most visitors come here to soak in the alien-like setting and enjoy nature at its enchanting best. Calanque is fed by an underground spring which makes the water cleaner, less salty and colder than the rest of the Mediterranean. The V-shaped beach also becomes a beautiful shade of green under the sun, and that is when Calanque d’En Vau is at its beautiful best. Miramar is an idyllic seaside village that is famous for its spectacular beach – the Praia de Miramar, and a small chapel that hosts a popular annual festival. The beach is home to several cafes and attracts thousands of visitors during the summer months. The setting is as beautiful as it gets, and the beach doesn’t get overcrowded like some of the other beaches in Portugal. 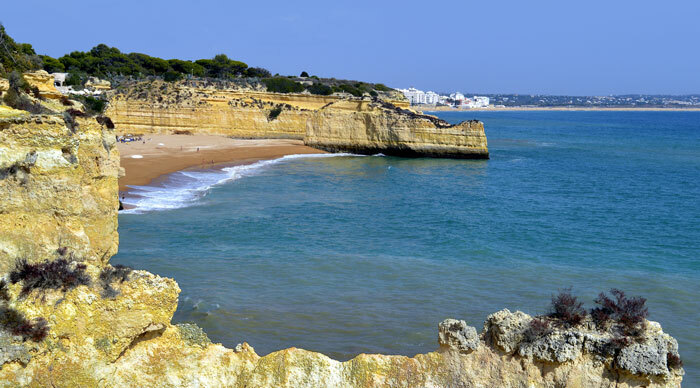 Praia da Marinha is one of the most beautiful and emblematic beaches on the planet. The beach was given the distinction of being called the ‘golden beach’ in the year 1998 because of its picture-perfect settings and natural qualities. 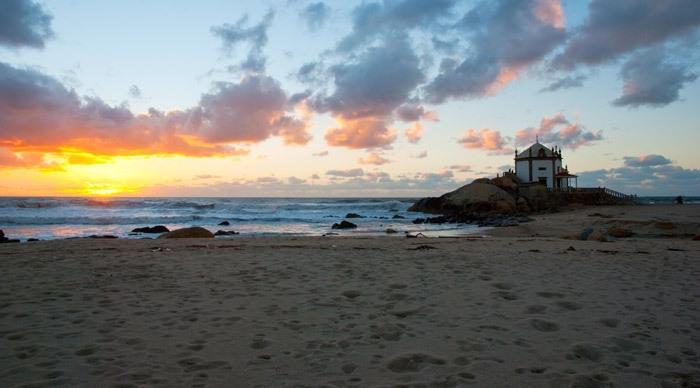 You can find countless pictures of the beach in promotional guides and materials used by Portuguese tourism. The beach presents enchanting cliffs and clean and clear water which makes it extra special. Praia da Cova is a true beach paradise. Boasting of calm, clear waters, the beach is bordered by vegetation on either side and is full of sheltered nooks and crannies that make it easy to find a spot all for yourself. You need to make your way down a set of traditionally styled Portuguese steps to get to the beach, but believe you me, the effort is well worth it. Centuries of erosion have created all kinds of shapes in the cliffs, giving the beach an extraordinary feel. Most people dream of luxe beach-resorts filled with overenthusiastic holiday-goers when they think of Mallorca, but this Balearic Island has much more to offer than a few idyllic beach resorts where you can swim and enjoy the sun. 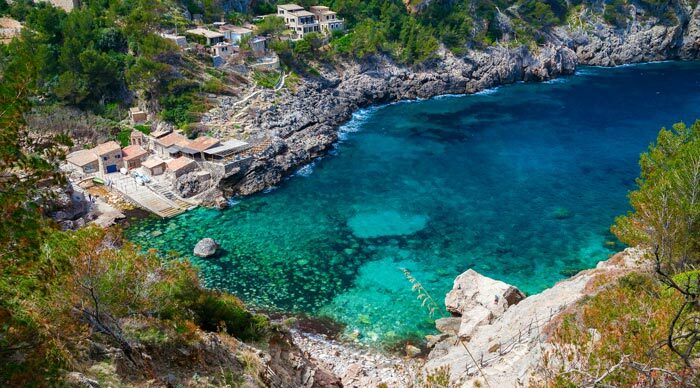 Tramuntana, its dramatic mountain range, is an obvious highlight, but an even better attraction is Deia, the gorgeous pebble beach located below the mountains. The beach requires a short trek from the main village, but it isn’t as crowded and is the perfect spot for lunch. A trip to Ibiza, the party capital of the planet, is never complete unless you visit the Benirras Beach to watch the spectacular sunset views that they have on offer. The beach is located at a 10-minute drive from San Miguel and is most famous for Cap Bernat, a rock formation known as ‘the hand of god’. The area feels incredibly dramatic as the light fades away into darkness, especially on Sundays, when you can enjoy the ‘Drum Down the Sun’ beats as well. Menorca is one of the quietest and most unspoiled Balearic Islands. 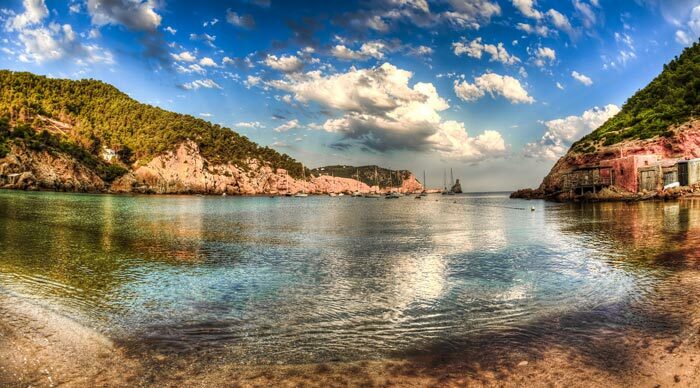 It is full of beaches that offer postcard-perfect scenes, clear blue waters and enchanting locales, but nothing comes close to the Cala Macarelleta, a spectacular beach surrounded by hidden coves, trails, pine groves and cliffs. The combination of silky white sands and stunning turquoise waters is what makes this beach so irresistible. The best views can be seen from the cliffs located between the two coves. Ribadesella Beach is located in Ribadesella, a small municipality in Asturias. Famous for its unique location on the Cantabrian Sea and for hosting the outlet of River Sella. The beach is perfect for families with young children and mature couples and is one of the best spots in Europe for sunbathing, kayaking and strolling. Apart from its beautiful beaches, Ribadesella is also known for its prehistoric caves, sporting activities, natural beauty and impeccable cuisines. So carry your sunglasses, pack your bathing suits and get ready for one of the most exciting beach adventures of your life. Oh, and whatever you do, don’t forget that all-important sunscreen!